Cleveland�s first annual celebration of civic technology, data & the doers working to improve our region, Data Days Cle was presented by the The Cleveland Civic Tech + Open Data Collaborative (The Collaborative) at the HIMSS Innovation Center, 4th floor of the Global Center for Health Innovation. The Collaborative is a joint initiative of five original partner organizations, including the CWRU Center on Urban Poverty and Community Development, Open Cleveland, of Code for America, Hack Cleveland, OpenNeo, the Cleveland City Planning Commission as well as, and more recently, the Cleveland Shapers, of the World Economic Forum�s Global Shapers venture, and the Ward 14 office of Cleveland City Council. Cleveland City Councilman Brian Cummins was the driving force behind Data Days CLE. In this clip from the first day of the event, Brian summarizes the conference and tells about some of the important presenters, partners and sponsors. Thursday, March 2nd, also known as �CTRL� featured a day long symposium focused on existing data use, institutional tools and training. Providing hands-on data and skills training for area nonprofits, community members, and students, attendees learned how to use our community's data resources and hone your data-focused skills and practices. Presentations by the US Census Bureau, Microsoft, the Federal Reserve Bank of Cleveland, CWRU�s Center on Urban Poverty and Community Development (NEO CANDO), and other data-smart, civic-focused Northeast Ohio organizations. Thursday evening there was a reception in the beautiful lobby of the Federal Reserve Bank of Cleveland. 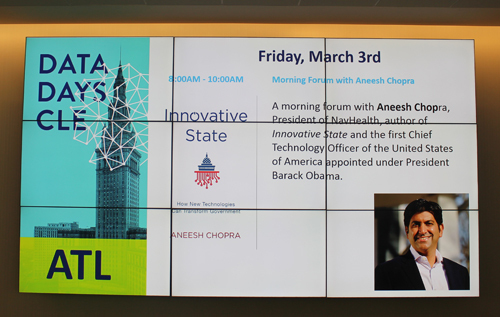 The morning of Friday, March 3rd, also known as �ALT� features a keynote address and forum with Aneesh Chopra, President of NavHealth, author of Innovative State and the first Chief Technology Officer of the United States of America appointed under President Barack Obama. Aimed at civic activists, as well as institutional and government leaders, �ALT� was an exploration of the use of open federal, state, and local government data and civic engagement. The forum featured a local perspective alongside Aneesh representing how communities properly enable handshakes among stakeholders and handoffs to civic innovators to better serve communities. Saturday, March 4th, also known as �CLE�, was an attendee driven day exploring civic tech and open data. A day of inclusivity and citizen access, attendees set the agenda. �CLE� capped off Data Days in true un/conference style, focused on engaging the broader public. Developers, advocates, and users convened and facilitated conversations of their choosing. Several lighting speakers shared motivating stories around the use of technology and data as a means for progress. As mentioned, Data Days CLE was held at the HIMSS Innovation Center, 4th floor of the Global Center for Health Innovation. John Paganini, Sr. Manager, Interoperability Initiatives, of HIMSS told us about the great space. The HIMSS Innovation Center, located at The Global Center for Health Innovation, is the only physical and virtual, state-of-the-art, testing, exhibition and conference facility that offers real-time demonstration of how healthcare technologies contribute to safer, higher quality and more cost-effective care and ensures that information gets to the right people at the right time to enable informed decisions. It's also great as a unique venue for other tech and business events. Watch the video and let John tell you. 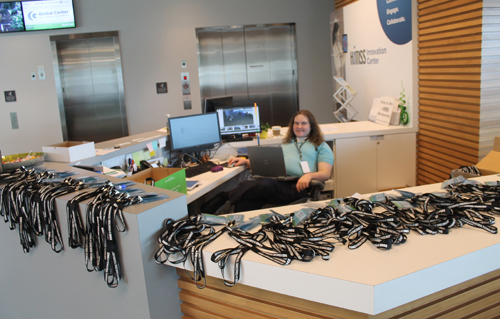 During a break, Great Lakes Geek Dan Hanson did a walk-through of the HIMSS Innovation Center. Take a walk with him in this video. Leon Wilson is the Chief of Digital Innovation and CIO of the Cleveland Foundation. Leon was in great demand at Data Days Cleveland. He suggested the need to look at quality of life issues through a digital lens. When asked about the Digital Divide he prefers the phrase Digital Equity and Inclusion. Adam Hecktman, Microsoft's Director of Technology & Civic Innovation for Chicago, presented a session on Excel and Civic Data at Data Days Cleveland. In this summary interview, Hecktman said the first step is to define your problem well. He also spoke about the latest version of Microsoft Excel and PowerBI and their ability to help access, transform, cleanse, query and visualize data. Jill Miller Zimon from Open NEO presented a session called Data 101 at Data Days Cleveland and after the presentation we asked about the takeaways about Open Data. 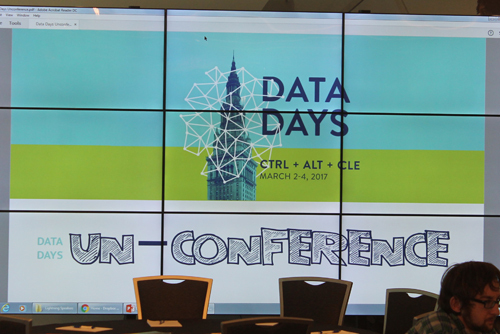 Jaime Sanchez Arias and Kevin Moore of Socrata came in from Washington DC to be part of Data Days Cleveland, a 3-day event bringing together experts and users in the fields of civic technology and data. 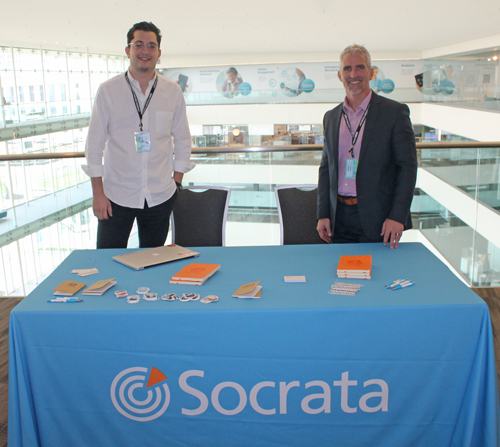 Jaime and Kevin spoke about how Socrata helps provide data democratization with their tools. Government entities can use Socrata technology to bring useful data to their communities and constituents in a friendly, easy fashion. Want to learn about tech, science and business events in Cleveland and NEO such as this? 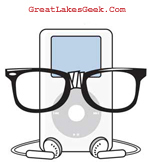 Sign up for the free Great Lakes Geek eNews. It's easy and free. Fill out the form for the free Great Lakes Geek eNews.